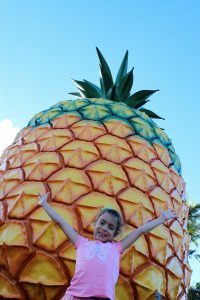 Take a tour of all the BIG Things on the Sunshine Coast – from the Big Pineapple to the Big Shell and even the Big Cow – with our comprehensive sightseeing guide. 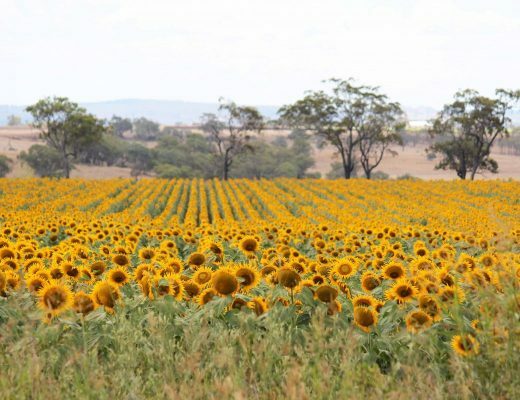 Everyone knows that in Australia we like things big! 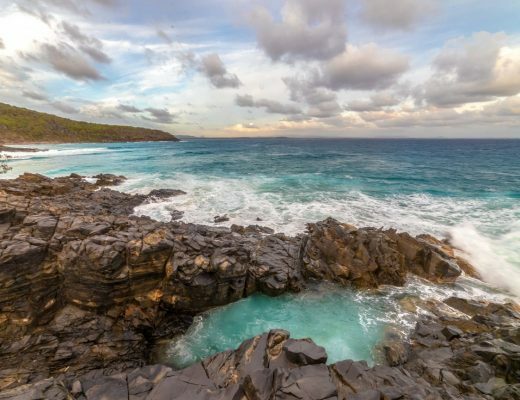 After all, we’ve got the biggest reef and the biggest rock in the world. 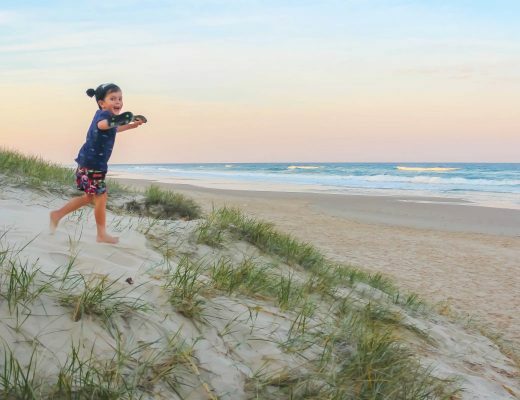 But you don’t need to travel too far to see the wonders of our Aussie obsession with BIG Things, just take our bucket list tour of all things big on the Sunshine Coast (and a few extras nearby). 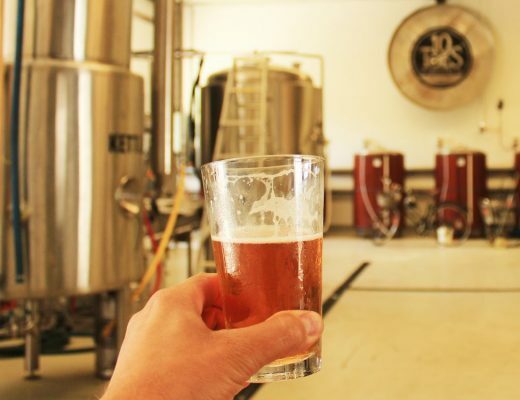 Location: 87 Gympie St, Tewantin, Noosa. The Big Shell forms part of the entrance to a shop that sells (you guessed it) shells and other beach-themed products. 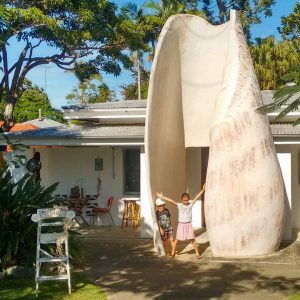 You walk through the Big Shell to access the front door, with the owners sometimes playing Hawaiian music as you pass through the shell. The store is open Thursday to Monday, 10.30am to 5.00pm. Sadly, the famous Big Stubby and House of Bottles which were nearby and iconic in the 1980s and 1990s are no longer there. Location: Oceanside Village Park, corner of Kawana Way and Lake Kawana Blvd, Birtinya. 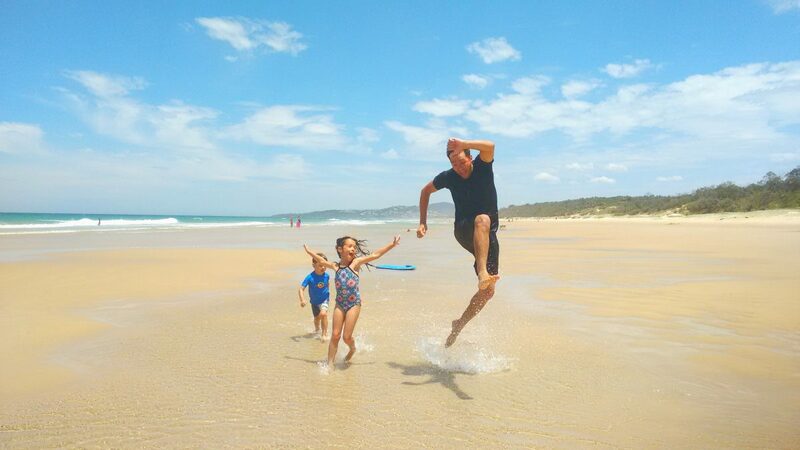 The latest edition to the Sunshine Coast’s list of BIG things, this 6-metre high sculpture of a cartwheeling child captures the joy of childhood, the importance of exercise, and the achievement of having done something difficult. 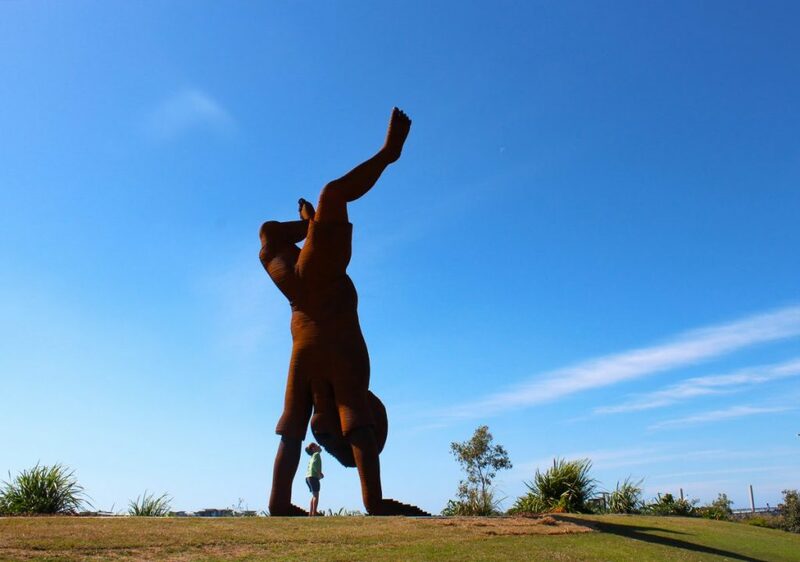 The statue called ‘iDIDIT!’ took artist Russell Anderson eight months to complete and sits in the park alongside the Sunshine Coast University Hospital. The impressive 8 tonne statue, which is made out of weathering (plate) steel, was officially unveiled in July 2017 and is fast becoming a hit on the coast’s tour of all things big. 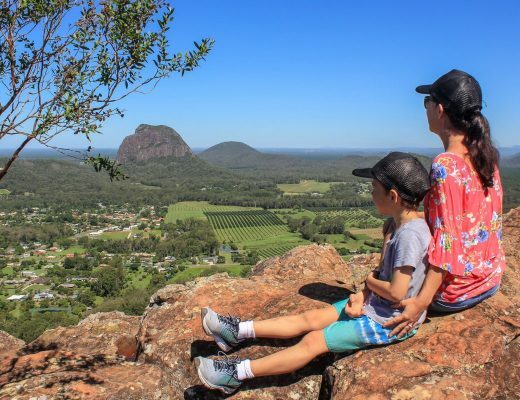 Maleny Botanic Gardens claims that its big purple chair is the largest chair in Queensland, with the caveat “that we know of”. Whether it really is the biggest in the country or not, there’s no denying it’s huge. Note, you do have to pay an entrance fee into the Maleny Botanic Gardens to get a photo with the chair. The Big Strawberry at Strawberry Fields. There are a number of big strawberries dotted around the region. Perhaps the most famous is found at the Rolin Farms strawberry fields, where you can pick your own berries from June to October. There are also smaller strawberries on the way in. 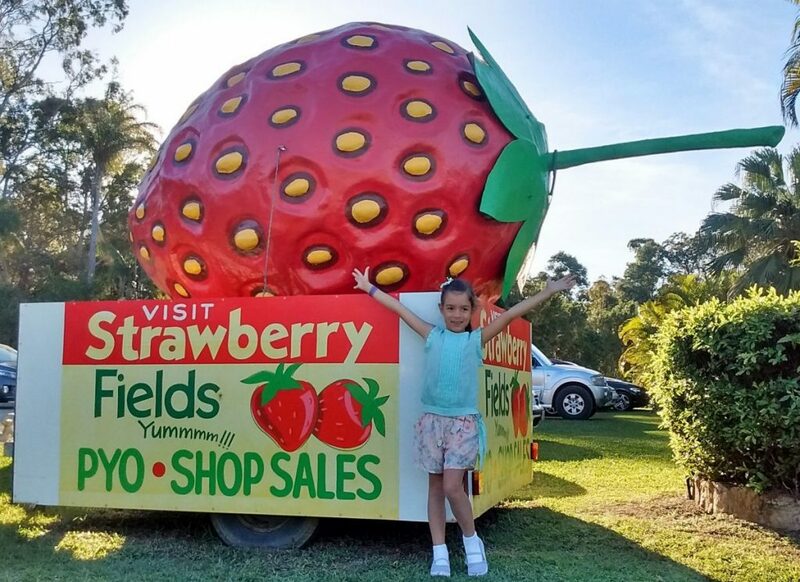 Strawberry Fields at Palmview also has a big strawberry onsite for visitors to take photos beside. 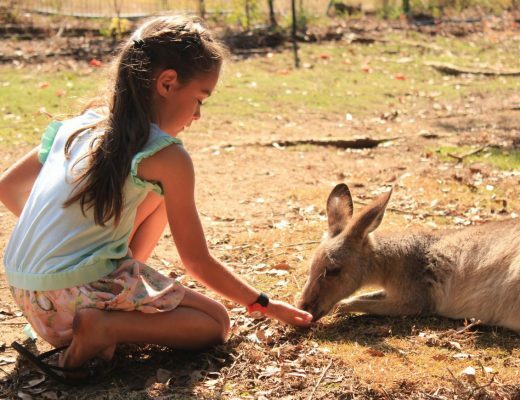 CLICK HERE TO FIND OUT WHERE TO PICK YOUR OWN STRAWBERRIES ON THE SUNSHINE COAST! 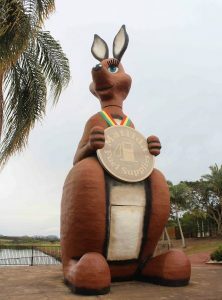 Matilda is the 13 metre high kangaroo that won the world’s hearts as she batted her eyelashes as she represented Australia at the 1982 Commonwealth Games in Brisbane. 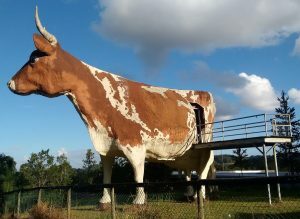 These days she has retired and resides at a service station in Kybong, a suburb 11km south of Gympie. Not one of Australia’s most ‘iconic’ big things by any means but, nonetheless, if you are doing a tour of big things you might want to stop by this slightly tacky big hand holding a garage door remote. Yep, you guessed it, this one is basically a sign for the company it sits in front of, but there’s no arguing it’s far bigger than normal! A famous big thing that has sat on the Sunshine Coast for many years but has sadly closed and gone into disrepair. The Big Cow is still impressive, being five times the size of a normal cow. You are no longer able to go inside but it’s still worth keeping on your tour of big things. Arguably our best known ‘big thing’, the Big Pineapple has recently had a bit of a spruce up with a coat of paint on the outside. 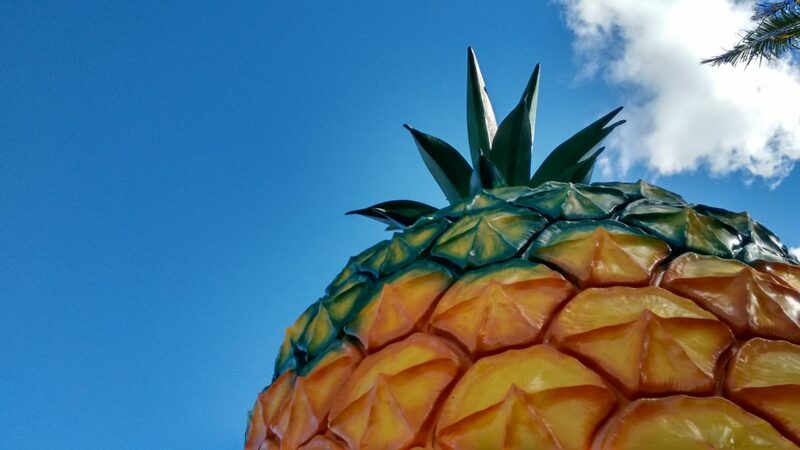 First opened in 1971, the heritage listed Big Pineapple is 16 metres tall. Notable past visitors include Prince Charles and Princess Diana. You can still climb to the top via an internal staircase, with displays about the attraction on the way up. A small cafe is open every day, while outdoor markets are held every Saturday, 6.30am to 1pm. 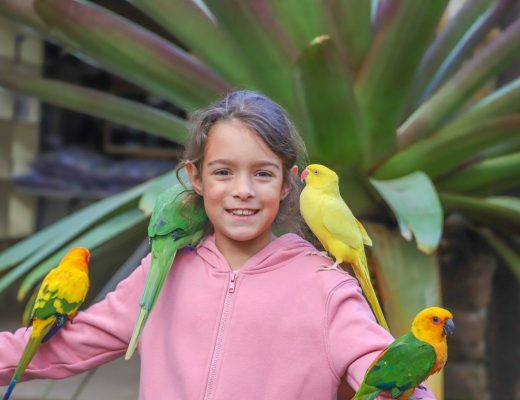 You can also catch the Pineapple Train (open every day 9am to 4pm, with the last train leaving at 3.30pm) around the property for $5 per person (children under 3 free), with the chance to hop off at the Wildlife HQ Zoo (separate entrance fees apply) which is located at the bottom of the hill. In the Big Pineapple’s heyday, the Big Macadamia sat proudly alongside it as part of the neighbouring macadamia nut farm and factory. Built in 1989, the Big Macadamia is 16 metres high. Sadly, today the building is closed and has been left to fall into disrepair, although there is talk of refurbishment in future. It can be a little hard to spot depending on where you are, but it’s easiest to spot on your left when you’re in the main Big Pineapple carpark. 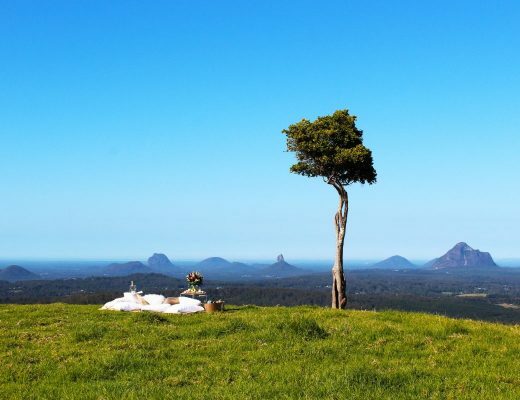 The Big Barrel is actually a wine barrel shaped building that’s home to Maleny Mountain Wines. The Big Barrel is 8 metres high. As of early 2019, signs out the front said the site was “permanently closed” but you are still able to enjoy the building from the gardens and carpark. While definitely not huge, the Big Harp is still good for a photo if you’re doing a tour of big things. It’s located in Balmoral Ridge outside the art gallery Lift. 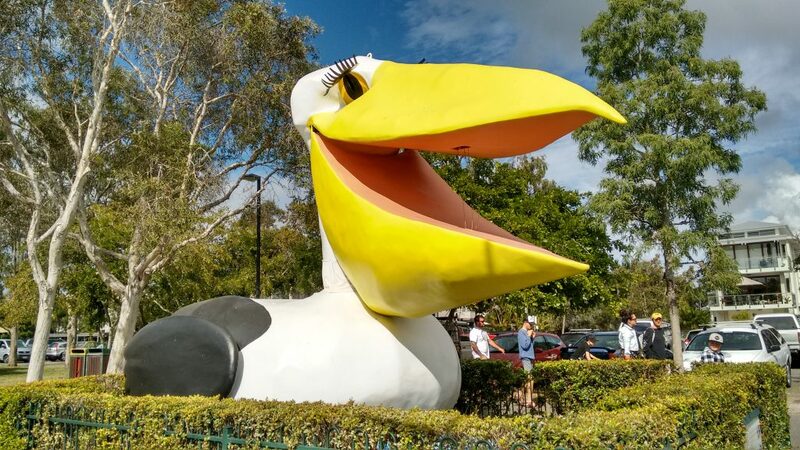 Located on the foreshore of the Noosa River in Noosaville Lions Park, the Big Pelican remains a popular spot for families to visit, take photos and usually debate whether the bird’s prominent eyelashes mean the Big Pelican is a girl or not. The Big Pelican was built around 1977 as a float for the Festival of Waters Parade. As the emblem of Noosa Council at the time, it’s called Percy the Pelican. Like the Big Pineapple, the Big Pelican has recently received a new coat of paint. One of two Big Ned Kelly’s in Australia (the other is in Victoria), Maryborough’s Ned is 7 metres high and fronts the Ned Kelly Motel and service station in Maryborough. 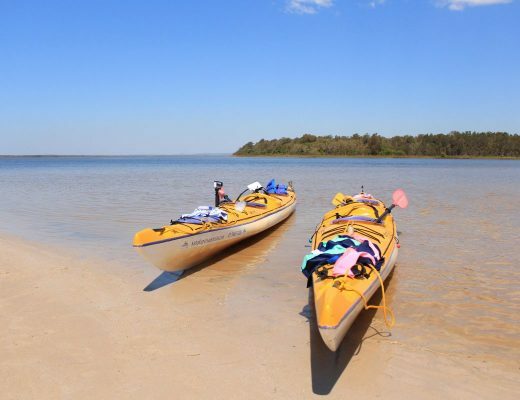 You’ll find the Big Whale in Hervey Bay outside the Fraser Coast Discovery Sphere. The statue is in honour of the real life humpback whales that visit the bay area from June until October every year. The 22-tonne sculpture of ‘Nala’ was unveiled in 2012. The sculpture was designed to be the ‘mother’ of the smaller humpback sculpture built into the roundabout at the intersection of Main St and the Esplanade. The real Nala is a female humpback who has returned to Hervey Bay every year since 1992.